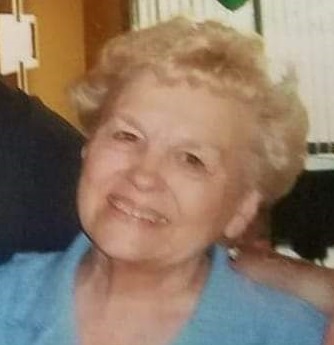 Shirley M. (Gray) Enke peacefully passed away on February 10, 2019 at the age of 88 years and 9 days. She was born to Clarence and Grace (Arnold) Gray on February 1, 1931, the sixth child of fifteen. She had five sisters and nine brothers. On December 31, 1950, Shirley met the love of her life, Lloyd W. Enke. They were married on November 3, 1951. Together they had three sons. She was a very loving, caring and giving wife, mother, grandmother and great grandmother. She was preceded in death by her parents, five brothers and one granddaughter. She was the sixth child of fifteen born and the sixth of fifteen to pass away. She is survived by her loving and devoted husband, Lloyd Enke and their three sons: Timothy Enke and wife Tracy, Mark Enke and wife Robin, and Matthew Enke and wife Rhonda; eight grandchildren; nineteen great grandchildren; four brothers; five sisters; and numerous nieces and nephews. Shirley was very active in her church. She also had several hobbies including sewing, crocheting and quilting. She greatly enjoyed her granddaughters; she finally had little girls to sew for her. Her favorite hobby was making and repairing porcelain dolls. She sewed her own doll clothes and earned several awards for her dolls. She was affectionately known as the Energizer bunny. She just kept on going. She taught her family, if you set your mind to it, you can do anything. She set her mind to do a lot of things and she did! She will be loved and missed. Visitation will be 6-8PM, Friday, February 15 and services will be 10AM, Saturday, February 16, both at St. Paul’s Lutheran Church, 17200 E. 39th St. S, Independence, MO; burial in Memorial Park Cemetery. Visitation 6-8PM, Friday, February 15, with services 10AM, Saturday, February 16, both at St. Paul’s Lutheran Church, 17200 E. 39th St. S, Independence, MO; burial in Memorial Park Cemetery. Shirley was always a great help to the Missouri National Guard Association Auxiliary. Her support and the support of her husband will be greatly missed. She was a life time member of the association as well as a lifetime member of the EANGUS Auxiliary. She cared deeply for military service members and their families. Thank you to her and to her family for sharing her with us. She will be missed. Shirley was such a lovely, gracious lady and was always so kind to us as we got to know her through EANGUS and the Auxiliary. We are praying for Lloyd and all her family and trust the love of Jesus, family, and friends will sustain you during these days. Blessed to have become acquainted with the Enke's through the Troop 312. Shirley smile was always a welcome fixture as she accompanied Lloyd to many ceremonies. Condolences to Lloyd, Matt, Brandon and the Enke family. I met Shirley through IDEA doll club.She was a very special lady, she was so very kind and sweet to me and my daughters.She will be missed greatly.My thoughts and prayers to her family. So sorry to hear of Shirley's passing. Our thoughts and prayers are with you. Shirley was a sweet, wonderful lady.